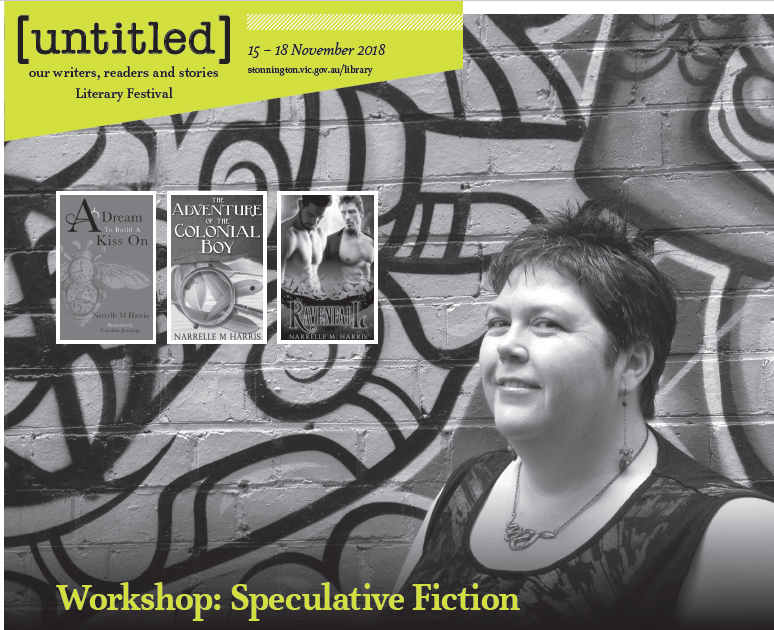 In November, I’m presenting a workshop on building believable fantasy worlds as part of Stonnington’s [Untitled] Literary Festival, here in Melbourne. $10 plus GST and booking fee. Book here. 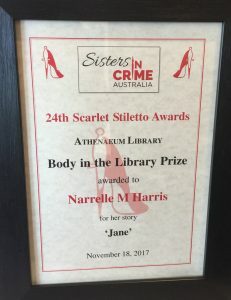 This year I entered the Sisters in Crime Australia Scarlet Stiletto Awards for the very first time. The awards, hosted by Sisters in Crime and a number of generous sponsors, are for crime stories written by Australian women and with female protagonists. An Australian Literature research student meets a ghost in a state-of-the-art private library on a remote bush property. She tries to unravel the mystery of the ghost’s origins while the dangers of the present, both human and natural, loom. The awards night was fabulous! Most of the 26 shortlisted authors (out of 186 entrants) were there, some coming from interstate. 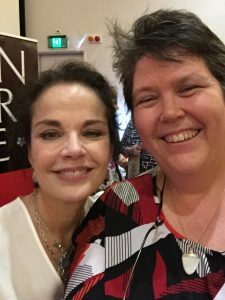 Jane Clifton was a marvellous MC, and did a fantastic interview with the ever-lovely Sigrid Thornton (with whom she co-starred in the iconic TV series Prisoner). 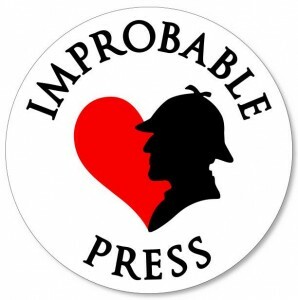 Congratulations to all my fellow short-listed authors, and category winners! Huge thanks to Sisters in Crime and the award sponsors, especially the fabulous Athenaeum Library! A big thank you too to Lindy Cameron, who looked me in the eye when I told her I’d never written for the awards and instructed me, in no uncertain terms, that this year I had to enter. Books and Publishing has a full list of the winning entries. You can also find out more about the awards at Sisters in Crime.